Hollywood cannot leave well enough alone and so in keeping with the tradition of rebooting things that don’t need to be rebooted, director Jon Favreau is stepping up to the plate with a live action remake of The Lion King. Off the heels of the success of the recent remake The Jungle Book and banking on nostalgia as a sure-fire moneymaker, Disney has confirmed that a live action “reimagining” of the Lion King is in the works. No stars have been attached to the project just yet, as it was just announced, but this feels like an inevitability that doesn’t have to be, if we’d just leave well enough alone. We do not need a live-action remake of The Lion King because sometimes it’s better to leave some things as they are. Next year, a live-action remake of Beauty and the Beast will hit theaters, with Emma Watson starring as the single human being in a cast of sentient household objects, including the incandescent Gugu Mbatha-Raw as a feather duster and Stanley Freaking Tucci as a grand piano named “Cadenza.” Suspending disbelief for an hour and change to watch actors that we love and respect lend their voices and maybe their bodies to inanimate objects works because the entire premise of the film is ridiculous. If Favreau and his team of CGI wizards show me a candlestick that happens to look both like Ewan McGregor and a candlestick, I will throw my Cherry Coke at the movie screen in delight. But, a live-action remake of a movie whose entire cast is comprised of animals feels trickier. Animals don’t talk. CGI animals, slapped together in post-production, with musculature and bones and sinew reside firmly in the uncanny valley. 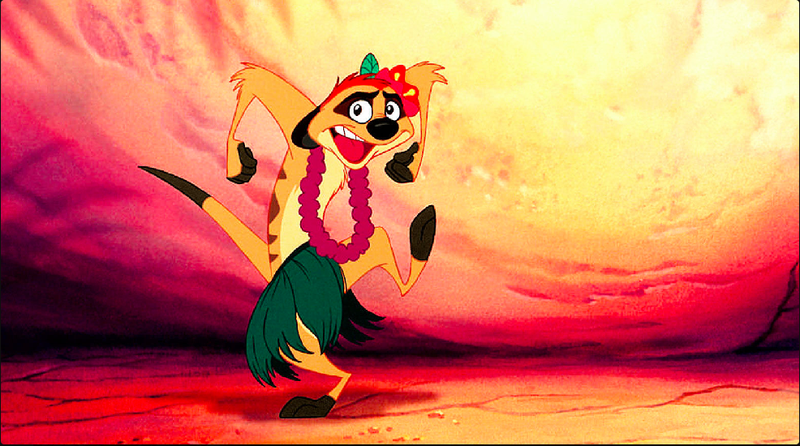 Imagine, if you can, the brief horror of a hyperrealistic meerkat and warthog singing “Hakuna Matata” in harmony. Nothing about that hews closely to the source material; nothing is new, and that’s fine, too. But, the reason The Lion King works so well and has been a classic for so long is because it’s a cartoon! It’s for children. Children don’t need to see what Scar looks like as an actual lion because he was terrifying enough as a cartoon. Nothin about this feels necessary. It’s a money-grab more than anything else and it’d be refreshing if we all just owned up to that from the jump. Unless Favreau goes the route of Julie Taymor and her wildly successful and innovative take on The Lion King as a live-action musical, with masks and dancers, I’m worried. Leave it alone. Let Simba be a doe-eyed baby lion forever.